Time management is serious business regardless of the industry. In fact, the history of time management is quite interesting. The site thebalancesmb has an excellent explanation of the topic and accurately describes how a defined structure increases efficiency and productivity. Additionally, time management specialist Cathy Sexton argues that “when we’re busy, we see that as being productive, when productivity is really narrowing down what we need to do”. That’s time management in a nutshell. There’s no doubt about it; time management requires discipline and cleverness for goal setting. In fact, recent research has revealed that roughly 72% of SMB proprietors and entrepreneurs work long days, weekends, and still complain there are not enough hours in the day! 10 to 12 minutes invested in planning your day will save at least two hours of wasted time and effort throughout the day? One in eight telephone calls are repeated because something was forgotten? Productivity drops as much as 40% when subjects tried to do two or more things at once? It usually takes twice as long to complete a task as what was originally planned for? Focusing on what is important and setting priorities are key to jumping over time management hurdles. It essentially comes down to life-balance and output levels. Studies reveal that entrepreneurs find time-management to be the most difficult, as they are responsible for both managing their time and keeping revenues flowing. Enterprising individuals with mediocre time management skills will notice their lack of effectiveness where it hurts – in their pockets. Substantial stress coupled with the constant pressure of “trying to make it” will frazzle the nerves of the staunchest self-starter. While talent has its strengths, if you don’t take the time to manage your business, you won’t have a business for very long. That said, SMBs are not off-the-hook. From detailed tracking of employees to administering tasks, SMB managers have various issues that entrepreneurs may not have to deal with in the early stages. Still, time management is a must no matter the situation when it comes to operating or owning a business. I guess you would agree that time keeps on ticking regardless of how much of it you think you have. Even so, there comes a time when you simply have to roll up your sleeves and get to work. While Maxwell is speaking abstractly about time, tangible steps are still required to see visible results. Time management is essential for SMBs and entrepreneurs who want to achieve a satisfactory work/life balance. An important time management tip is to delegate tasks, especially when there is someone more qualified. For example, if you’re doing the bookkeeping for your business, why not delegate to someone else? Like an actual bookkeeper, perhaps? Use your time on other tasks, such as building your business. Take time to reflect and get those creative juices flowing. Reinvigorate yourself. Unwind and consider the day’s events. Note any important phone calls, emails, and meetings you had. Take quiet breaks and reflect upon the direction you want your business to go. Remember, working in your business and working on your business are two different things. Simplify obstructions by clarifying issues. Successful entrepreneurs and SMB administrators take intricate problems and break them down into small manageable tasks. If you competently manage small issues, they won’t become big ones. The 80/20 rule is: “80 percent of outcomes stem from 20 percent effort.” Observe when you are most productive. Is it first thing in the morning or late at night? Utilize that time each day for brainstorming. According to Murphy’s law “whatever can go wrong will go wrong”. No matter how meticulous your plans, there will be something you overlooked. Such is life! Staying flexible is just as important as planning. Additional time management pointers include developing a routine, maintaining an orderly workspace, and keeping a positive attitude. Outsourcing – using external resources to carry out activities typically executed by an internal workforce – is a popular way to delegate jobs and manage your time. Many entrepreneurs and especially SMBs turn to time tracking and time management software like Time Doctor, which also provides excellent web-based support and even payroll solutions. In fact, according to a study commissioned by the APA (American Payroll Association) performed by the Hackett Group, a majority of companies take advantage of paperless payroll systems as a result of payment cards and direct deposit. At the outset, expenditures and personnel minimization are the most frequent reasons for outsourcing. Today, the motivation is oftentimes more tactical and focused on internal enhancement where a company can capitalize on its primary avocations. Though outsourcing is not the answer for every situation, it has proven to be an assured means of increasing business efficiency. Whether it involves supervising a remote staff or performing day-to-day tasks, time management skills are central when it comes to making your business a success. 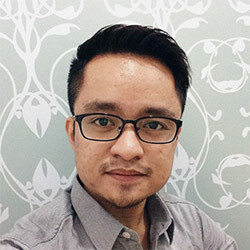 Carlo Borja is the Head of Online Marketing for Time Doctor, a time tracking software for remote teams. He is a full-time telecommuter, a digital nomad and a coffee junkie.